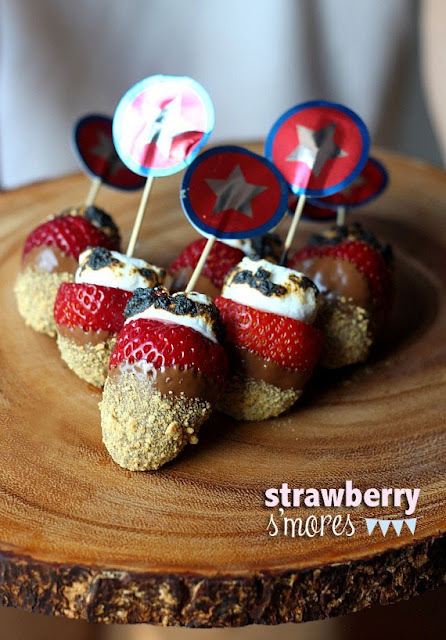 S'mores are always my favorite summer treat, but add a strawberry and they become perfect patriotic party treats for the 4th of July. These strawberry s'mores are like a deluxe chocolate dipped strawberry! YUM! You can check out how to make strawberry s'mores over at Cookies and Cups. I've never heard of these! Gotta try it!